If you start from the bottom of the page Eric's Red Ale (previous recipes), you can follow a progression of the recipe. CaraRed and Honey to the grain bill. And additional hops. I switched out the yeast with US05. 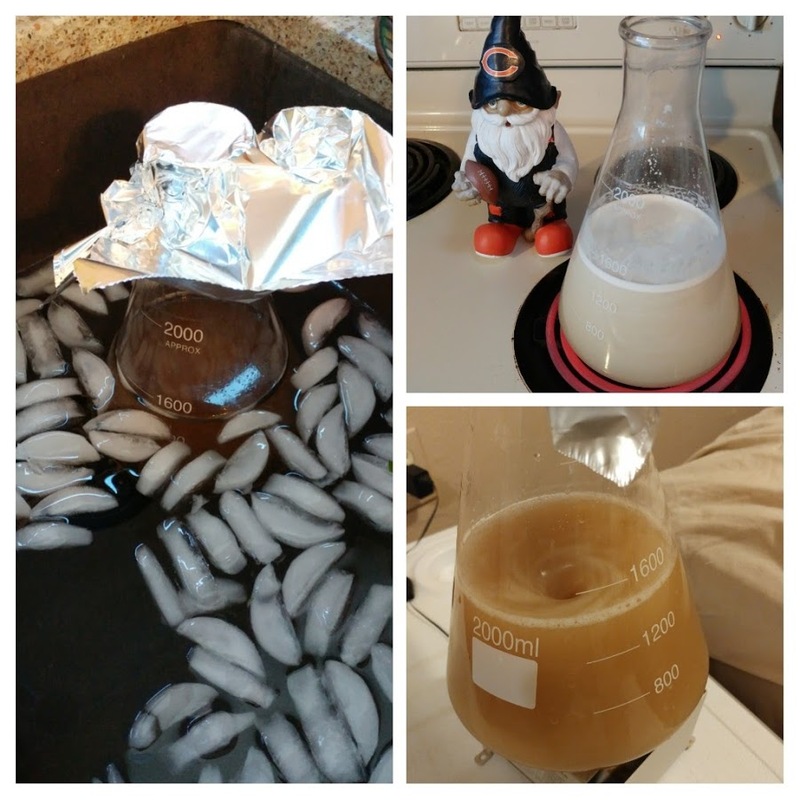 For a long time, I continued to make this recipe using the Mr. Beer Extracts. 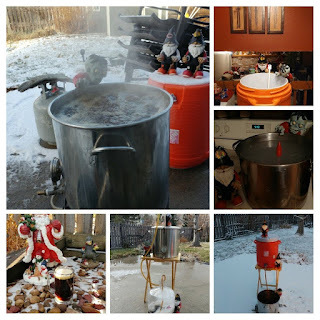 It wasn't until Batch 7 brewed January of 2012 that I converted this recipe to All-Grain. At the time, I called it an Irish Red. Since then, I've continued to tweet the recipe. The grain bill has stayed pretty much the same, but I've played around with hops and yeast. I still love this beer. Now, it is actually a signature recipe. 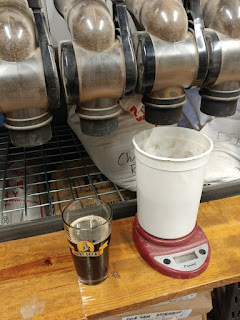 The grain bill has a Marris Otter base with Carared, Simpsons Medium Crystal, and Chocolate Rye Malt. The last couple times, I've used WLP004 Irish Ale Yeast to ferment the beer. So far, it is pretty classic in the Irish Red category. 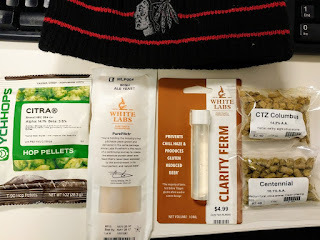 However, lately, I've been using American Hops. Enough of them to taste hoppy. Probably not hoppy enough to be a Red IPA, but certainly enough to taste. I think it is a great beer. And so, I brewed it this weekend. 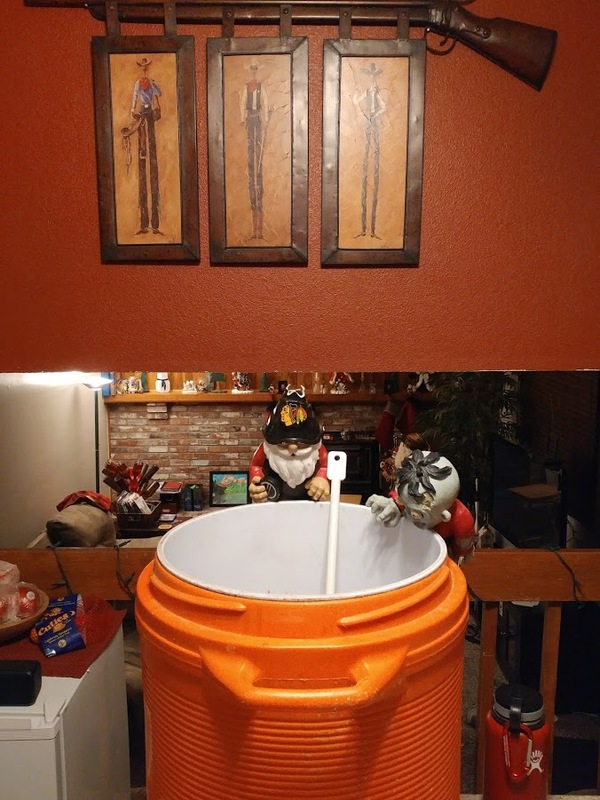 I switched up the process a little bit by starting the brew day inside. 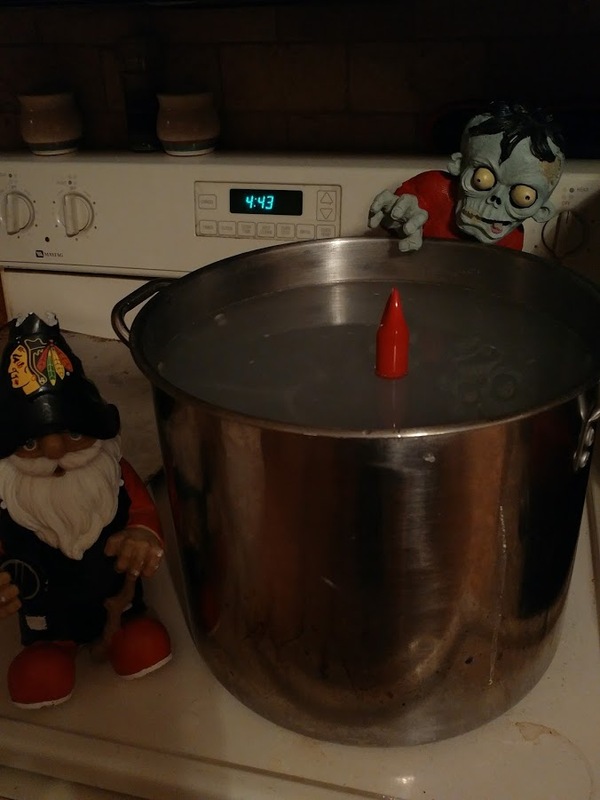 I heated up the strike water and did the mash in our kitchen. Once the sun was (sort of) up, I moved the mash outside to continue in the snow. Everything was a bit more "typical" from then on. We recently had a problem with our patio table. The problem has to do with the glass top shattering. Long story short, we don't have a patio table right now. So, I used a T.V. tray to put the mash tun on. 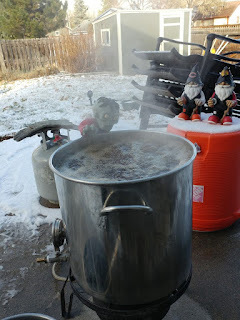 The pre-boil gravity was right on target. The boil went perfect. 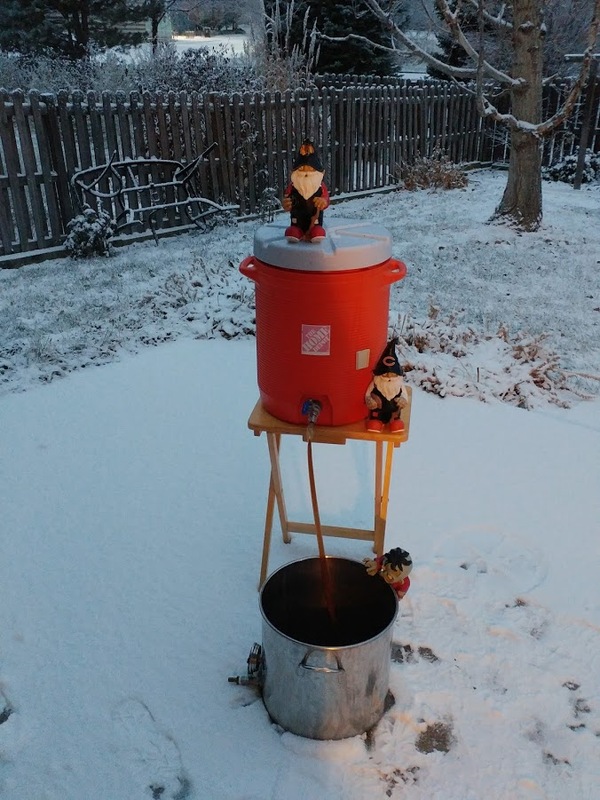 Chilling the wort went pretty quickly in the cold. 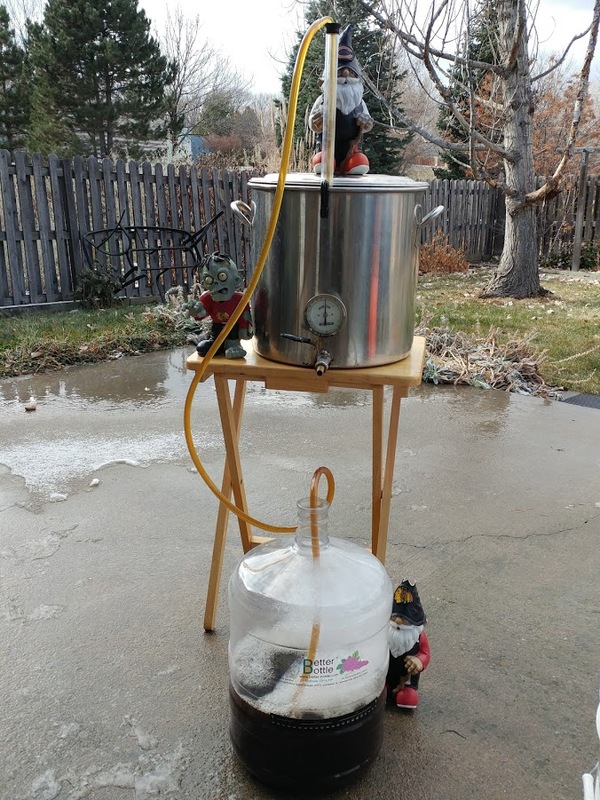 I had the beer in the fermentor and the yeast starter pitched early afternoon. 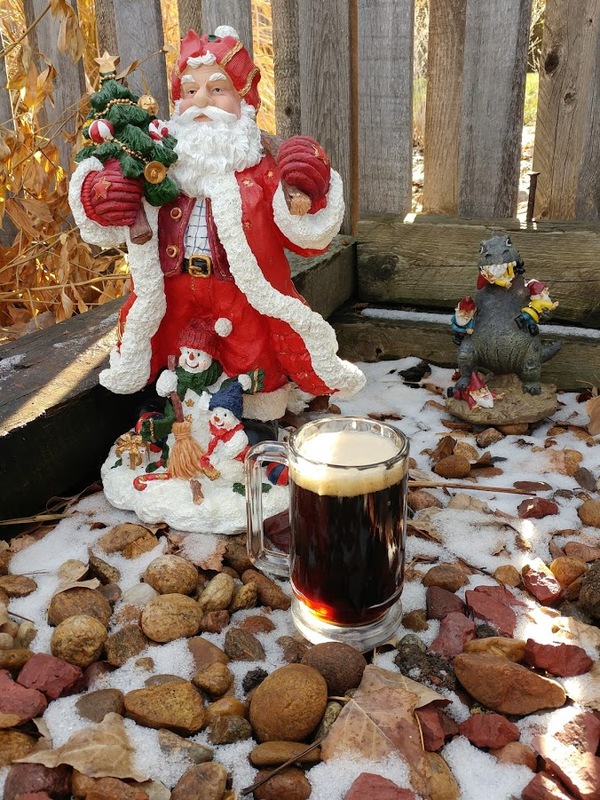 I was able to enjoy some of my X-Mas Ale before the sun went down. 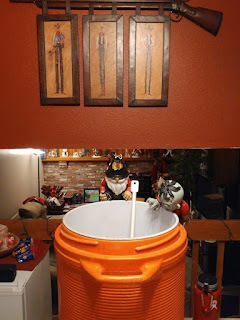 The fermentation started up sometime before the next day, and it has been active all week. 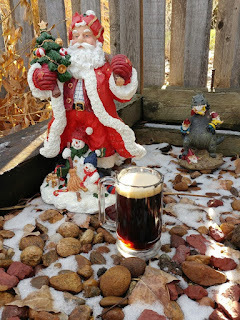 It is still bubbling and still has significant kraussen on top of the beer. How long it stays in the fermentor depends on when another keg frees up. I expect I'll have it kegged around Christmas, but we'll see. Looking forward to having Eric's Red on tap again.